Nowadays, a new attraction - National Centre of the Performing Arts (abbr. NCPA) jumps into most visitors' eyes. The modern construction, an eggshell design, definitely leaves a deep impression to all people. Seemly it is breeding of a promising future, which awaits to make a breakthrough. With an excellent location to the west of Tiananmen Square and the Great Hall of the People, it is very near the Forbidden City. For the exterior view, the surface of the centre is made of titanium and glass and surrounded by an artificial lake, so more likely lots of people would call it Pearl on Water. Totally it can seat 5,452 people in three halls and is almost 12,000 square meters in size. Designed by French architect Paul Andreu, its construction started in December 2001 and the inaugural concert was held in December 2007. Internally, there are five major performance halls: Opera House, Concert Hall, Theater Hall, Multi-functional Theatre and the Fifth Space. The 2,398-seat (SRO included) Opera House is NCPA's largest venue and boasts the most advanced staging equipment available for operas and dance dramas. The China's largest ballet stage in this hall is seamless, whose surface is made of Oregon timber. 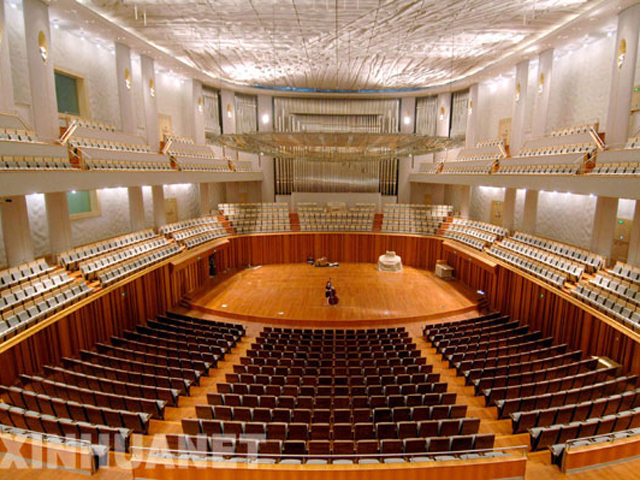 Exuding an air of serenity and refinement, the silver white Concert Hall is the venue for mainly large symphonic and national music performances. The audience can enjoy all performances from any angle. The Hall can seat an audience of 2,019, including the venue of SRO. The pipe organ, the most valuable treasure of hall, with 94 stops and 6,500 pipes is the largest pipe in Asia. 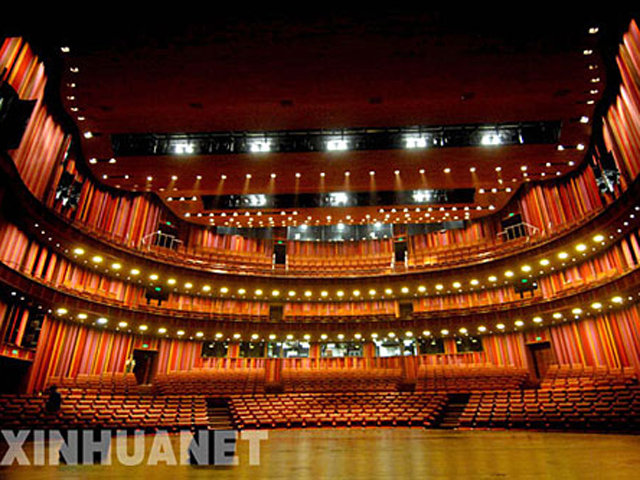 The 1,035-seat (with SRO) Theatre with a distinct Chinese traditional style, is equipped with hi-tech, theatrical staging and audio visual equipment. It will mainly host modern dramas, Peking Opera and traditional Chinese operas. The Multi-functional Theatre has 556 seats in total,including removable seats. Its fresh yet elegant style suits chamber music, small scale solo and vocal solo, drama and modern dance. Among the venues at the NCPA are a host of public spaces that are designed to amaze and stimulate. Jointly known as "The Fifth Space", they include the Underwater Corridor, the Olive Hall, the Grand Foyer, exhibition halls as well as roof terrace area. Grand Opera House Elegant Concert Hall owns the Asian largest pipe organ, which was especially made by German. 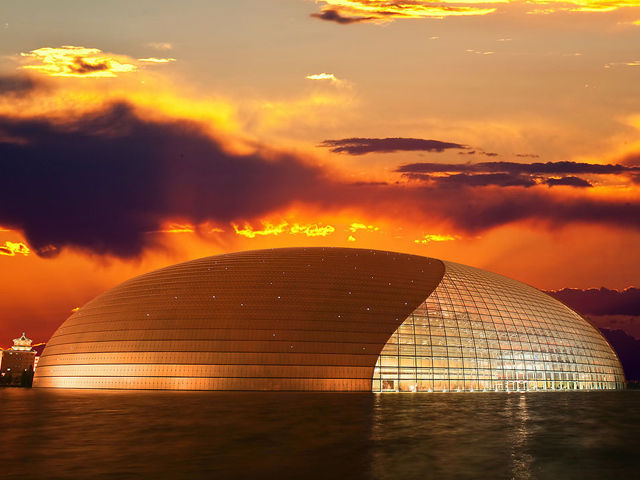 National Centre of the Performing Arts of Beijing, stands the highest level of performing house in China, counterparting with famous Broadway Theatre of New York city. 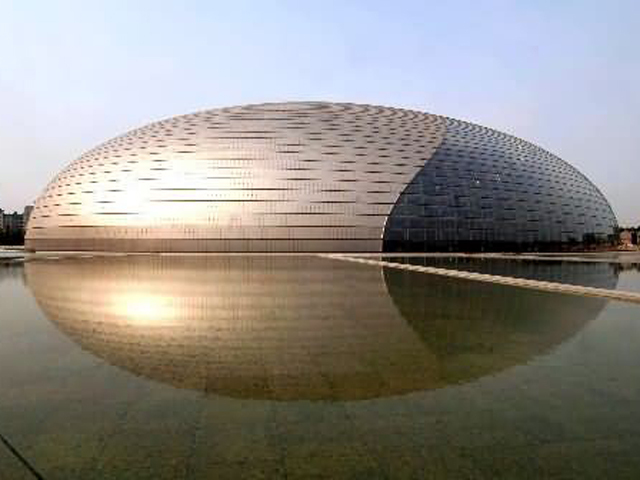 As the most bright spiritual symbol, National Centre of the Performing Arts once was highly praised by USA Today as a strong evidence for increasing comprehensive strenghs of China for its perfect modern architecture and highest status in Performing Arts and Music. Please click " " to add the attraction in your favorite list, let us plan a private Beijing Tour for you.